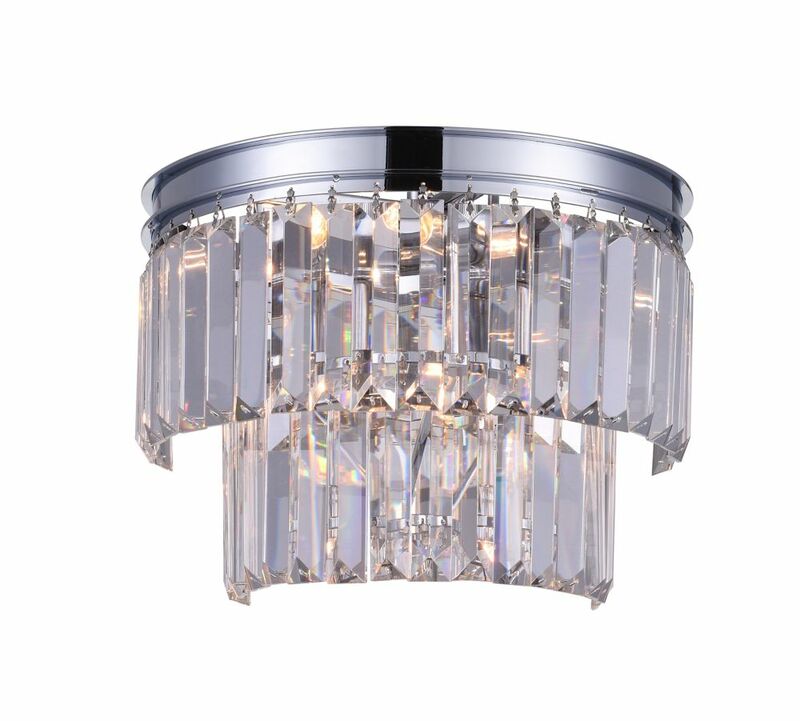 This breathtaking 4 Light Wall Sconce with Chrome Finish is a beautiful piece from our Weiss Collection. With its sophisticated beauty and stunning details, it is sure to add the perfect touch to your dicor. Weiss 10-inch 4 Light Wall Sconce with Chrome Finish This breathtaking 4 Light Wall Sconce with Chrome Finish is a beautiful piece from our Weiss Collection. With its sophisticated beauty and stunning details, it is sure to add the perfect touch to your dicor. Weiss 10-inch 4 Light Wall Sconce with Chrome Finish is rated 5.0 out of 5 by 1. Rated 5 out of 5 by Sarah123 from Stunning! Love this! It is exactly what I wanted for my little bar area. It was a little bit difficult to wire but I figured it out with some patience. Also one of the lights is slightly crooked and it touches the frame so I'm a little worried it will be difficult to change out when it dies eventually. Also it is VERY bright. I added a dimmer to my switch so I could adjust it.